Mrs. Hankinson's Class: December Sale! Well, we are in full Christmas swing in my first grade classroom! We have made an enormous amount of crafts in the last week and have our Christmas party tomorrow, with 2 - count them 2 - Christmas programs on Friday! Pictures of our crafts will come tomorrow! I'm throwing a sale through December 21 (Friday) on the items in my TPT store. Everything is 15% off! Stock up now on my January Packet, added last night! 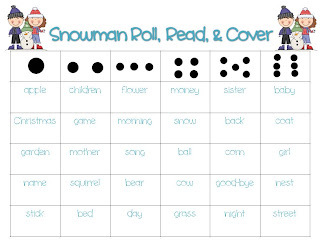 The 70 page packet includes: calendar cards; January words for bulletin board or word work station; language arts activities using various January words; roll, add, and cover math boards; January picture puzzles; roll, read, and cover sight word game boards; and Snowball Fight! 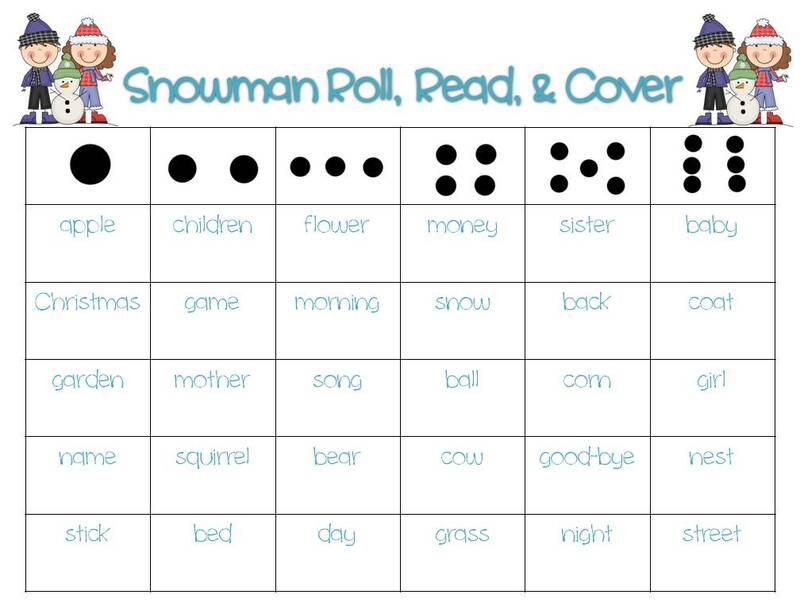 sight word game. Below are pictures of a couple of the activities included. Click HERE to purchase this product while it's on sale!